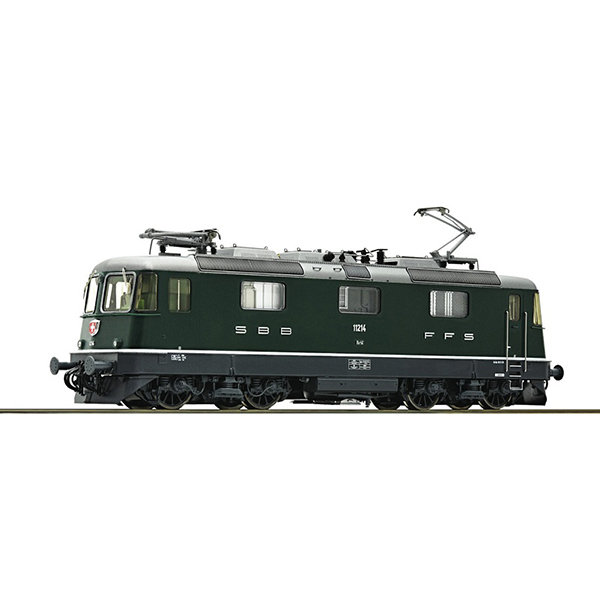 Prototype:Electric locomotive Re 4/4ˡˡ of the Swiss Federal Railways in green livery with elevated running numbers. Model Description: Motor with flywheel. Drive on three axles. Light changeover according to the Swiss original. Model with separately applied etched parts such as ventilation grilles and wipers. AC model with digital decoder and digitally switchable sound and light functions as well as a buffer capacitor for an uninterruptible power supply.